No, the Bible isn’t a book of rules, or a book of heroes. The Bible is most of all a Story. It’s an adventure story about a young Hero who comes from a far country to win back his lost treasure. It’s a love story about a brave Prince who leaves his palace, his throne — everything — to rescue the one he loves. It’s like the most wonderful of fairy tales that has come true in real life! You see, the best thing about this Story is — it’s true. There are lots of stories in the Bible, but all the stories are telling one Big Story. The Story of how God loves his children and comes to rescue them. One of the greatest challenges of children’s ministry, or more importantly family discipleship in our homes, is the challenge of helping our children understand the big picture of God’s Word. How do all the stories fit together? What do Abraham and Isaac have to do with King David or what does King David have to do with Adam or what does Jacob have to do with Jesus? Christmas presents us with an annual opportunity to walk our families through the central stories of God’s Word, all building to the miraculous birth of the Savior God promised to send. “Advent” simply means “The coming” and advent readings are great ways for us to prepare the hearts of those in our home for the true beauty of Christmas day and a fun way to count down the days until Christmas. Here are some of our favorite options that might be a blessing to your family this year. We’ve encouraged families at Watermark to use this reading plan the last couple of years and are encouraging it again this year. The Jesse Tree Journey is a 27 day reading plan straight from the Scriptures, which would begin this Saturday, November 29th and is ideal for families with elementary age kids. For those of you with younger elementary age kids and/or preschoolers, this advent reading plan is ideal. You’ll need The Jesus Storybook Bible to complete this 25 day reading plan. Finally, Ann Voskamp recently published a beautiful book that combines Scripture and devotional readings with family discussion questions and simple activities to illustrate the lessons of the the advent stories. This book is perfect for families with kids of all ages and can be found at your local bookstore as well as on Amazon. The readings for this plan begin on December 1st. Whatever option your family chooses, don’t miss out on this chance to reflect as a family on the beauty of this Divine love story and prepare your hearts to celebrate once again this year the coming of our Savior. 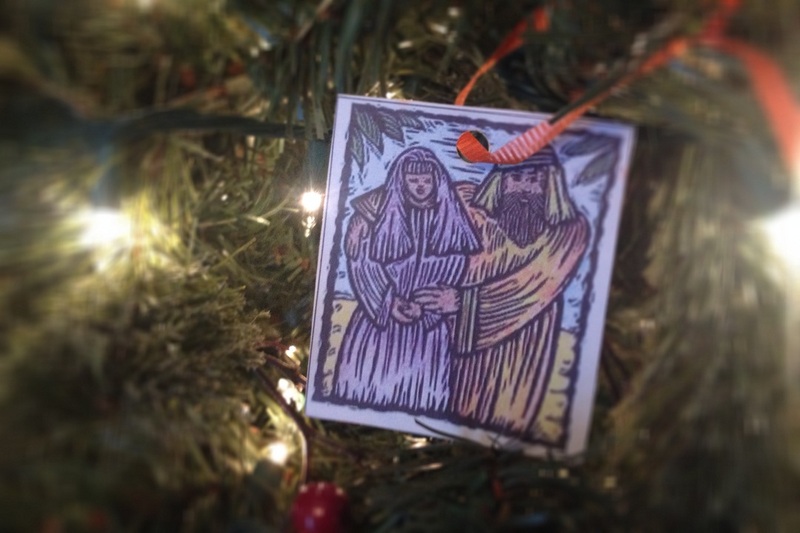 If your family uses a different advent reading plan, we’d love to know what it is. Leave a comment below to share other ways your family prepares for Christmas! The post Advent for Families: Prepare Him Room appeared first on Watermark Community Church Blog.